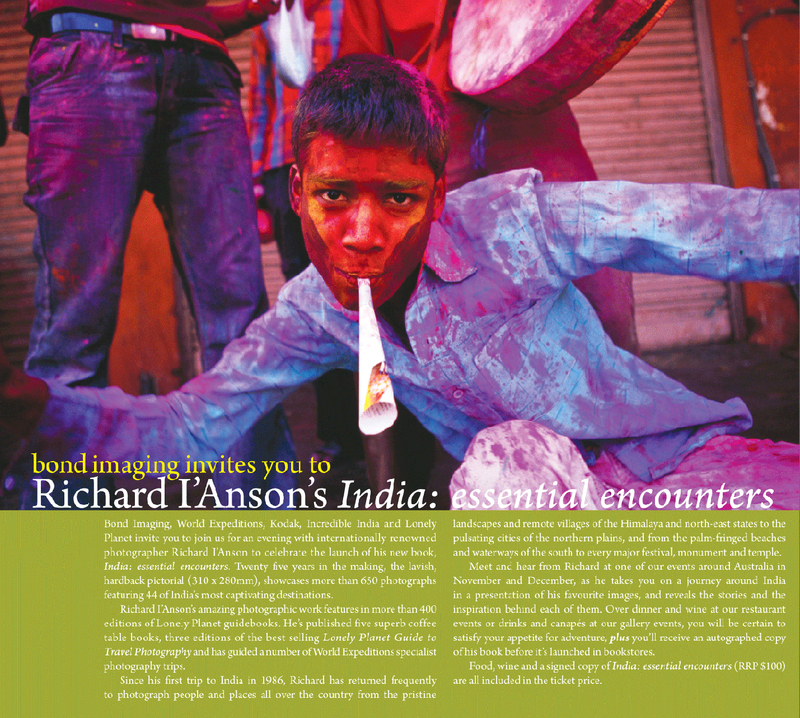 Bond Imaging is proud to be a partner sponsor of Richard I’Anson’s INDIA Essential Encounters events. Showing our support by supplying prints on Kodak Professional Ultra High Definition paper and face mounted onto 6mm clear Acrylic. This quality product provides the best presentation for Richard’s vibrant and inspirational work. 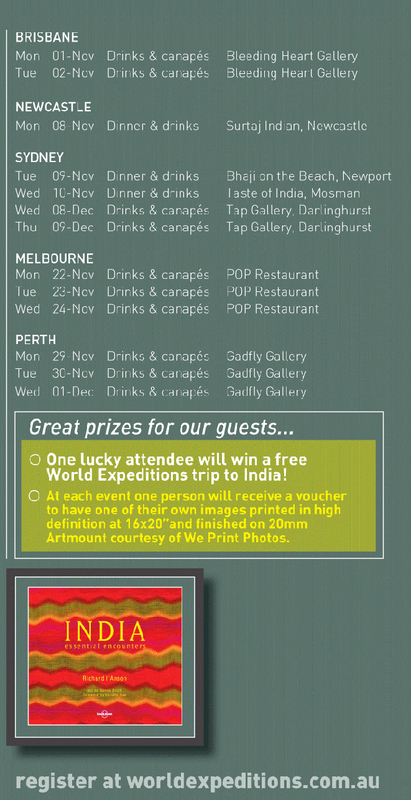 Bond Imaging is committed to providing specialist photographic services to imaging professionals nationally. 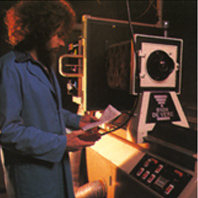 It all began on October 5th 1970, when Bond Colour Laboratories first opened it’s doors as one of the first professional wedding, portrait and commercial labs in Australia. Stringer, Reg Evans, Aram Gheblikian and Allan Day in Sales, Bond Colour Laboratories was on the road to becoming a strong and successful company. In a few short years, staff increased to 50 people, forcing us to relocate to larger premises at the current location, Gwynne Street, Richmond. Now trading as Bond Imaging, we have become and iconic business that is well known throughout Australia. We have grown to become not only one of the largest but also one of the most respected and innovative operators of professional photographic and digital output services in the country. It has been an honour and a life long dream to be able to pursue my passion of photography and to remain at the forefront of the technological advancements within the digital photographic arena. This company would not be where it is today without it’s dedicated staff and suppliers. I am delighted to have met so many wonderful and inventive people through Bond Imaging over the decades. We are proud of providing a premium product in a fiercly competitive digital market and look forward to continuing with the same enthusiasm, efficiency and personalised service. Most importantly, a big thank you to our customers, your quest for excellence has been a driving force in ensuring that we continue to provide effective and innovatice solutions for your business.